Applying Identity and Access Management best practices is incredibly important for any business but in today’s Cloud dominated landscape it isn’t always easy. Identity and Access Management used to be reasonably straightforward. Users were local. End-points used to be more regulated, but things have changed. Now we live in a mobile device-driven world. BYOD/BYOMD is common. Identity and Access Management has had to adapt. 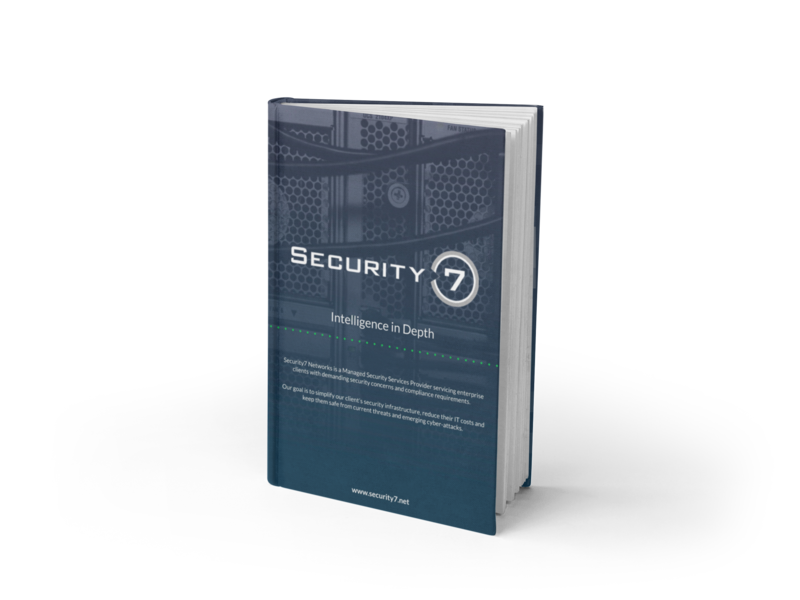 By leveraging emerging technologies, Security7 Networks has developed a system to make Identity and Access Management secure and straightforward. We can improve end-user productivity and secures access to the cloud, mobile, and on-premises apps via single sign-on, user provisioning and multi-factor authentication. Security7 Networks has been our IT service provider (partner) since 2009. We have had many issues such as upgrading our entire network, firewalls, virus, flooded computer room, etc... There has never been an issue they could not address for me. Bob, Ray and the team are super responsive and have never let me down. If you are looking for a competent partner, I would highly recommend you give them the opportunity to impress you like they impressed me.